Rejected scores are as old as film scores themselves. Nearly every film composer has had a score rejected at some point in their career. Some perhaps more than others, and all at different stages of scoring production. Sometimes the unused music is recycled into another project, released years later, or in some cases left as a musical "what if?". I picked my top 14 rejected scores, each with a different interesting backstory. Director William Friedkin originally wanted Bernard Herrmann for the film, before turning to Schifrin. Schifrin's score featured typical big orchestral horror elements. His music did appear in the trailer for the film, with the apocryphal story of Friedkin tossing Schifrin's tapes in the studio parking lot. Looking for a more subtle replacement, he turned to Nitzsche for some atonal music which he didn't finish scoring. This score was also replaced with modern classical music by Krzysztof Penderecki, Anton Webern and the now-famous Mike Oldfeld's Tubular Bells. For an orchestral Gothic horror sound, Elfman seemed a perfect fit. Elfman completed his score, all the while the post-production was delayed and the newly edited film didn't support the score. Unable to return for fixes and re-scoring, Elfman's score was rejected. Paul Haslinger (of Underworld fame) was brought on for the replacement. After his electronic score was complete, Haslinger's score was replaced by...Elfman's original score. Still unable to rework the score, composers Edward Shearmur, TJ Lindgren and Conrad Pope were brought in for additional music, and re-track sections. Writer/director Oliver Stone fell in love with the classical piece Adagio for Strings by Samuel Barber as a temp track. Meanwhile, Delerue wrote a 20+ minute beautiful score. One cue, "Barnes Shoots Elias" remains in the film and album, with the rest of the movie filled instead with pop songs and Adagio for Strings (conducted by Delerue). In this case, many parts of the score was replaced by Goldsmith himself. Composing the score for director Ridley Scott, Goldsmith wrote romantic sections with suspense throughout. 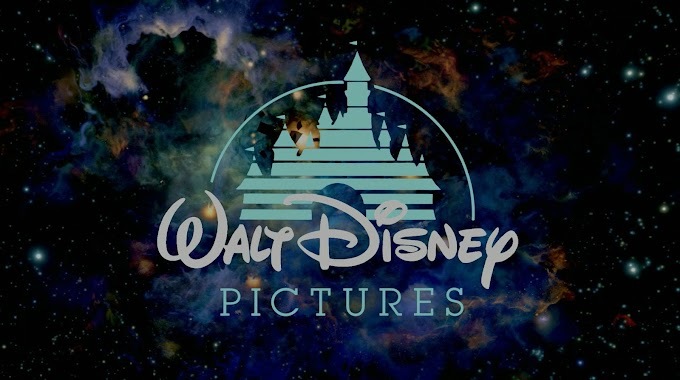 He eventually had to rescore several cues, including the main titles. Editing cut parts of the score apart and the final film includes parts of the temp track. Those moments include cues from Goldsmith's own Freud (1962) and Howard Hanson's Symphony No. 2 as the end credits. Originally turning to Morricone, his demos didn't please director Roland Joffé. Turning to Elmer Bernstein, he wrote and recorded the entire score with a more historical sound. Still not satisfied, they turned to John Barry, on suggestion from star Demi Moore. Given a limited time, Barry's score is reminiscent of his sweeping, romantic scores. While Newman captured "Americana" nicely in past scores, his score didn't fit with director Wolfgang Petersen. His take seemed goofy, full of "Micky-Mousing", with an over-the-top comical notion for the villains. All good music, just not fitting to the film. Before finishing recording, Newman was replaced by Jerry Goldsmith at the last minute. With 2 weeks to compose and record the new score, Goldsmith turned to Joel McNeely to write additional music. Poledouris started out scoring the film, using folk styles and having that Western feel. As he finished his scoring, they brought in Zimmer to compose the replacement in about three weeks. Zimmer brought his modern sound and also brought Fiachra Trench and Shirley Walker to write additional music. With two film scores complete, a hybrid of both was created - picking and choosing cue by cue. Ultimately more Poledouris appears in the final film, with action sequences done by Zimmer. Ah, another Ridley Scott and Goldsmith collaboration. With the original cut of the film running "too long", the film was cut and cut - taking out a quarter of the film. Needing a more youthful appearance, Goldsmith's score was removed and replaced with a techno-pop score by Tangerine Dream. Goldsmith's score appeared in the European longer cut, with the music slightly butchered (and containing a cue from Goldsmith's Psycho II). Despite a number of films with director Martin Scorsese, Bernstein's fully recorded score was rejected mainly by producer Harvey Weinstein. Utilizing an Irish influence, the strong score was cut due to editing changes. The score ended up being from a variety of sources - folk music of all types and cues composed by Howard Shore. One of the most anticipated scores, Shore was to reunite with director Peter Jackson after their Lord of the Rings trilogy. Writing and scoring a good chunk of the score, the pair split after "creative differences". With limited time, and almost 3 hours of music to write, Jackson turned to James Newton Howard. The score was recorded in LA, with Jackson and Howard communicating via technology - the two never meeting in person until the premiere. After working with Silvestri on a handful of films, director Gore Verbinski hired Silvestri. Upon hearing demos, producer Jerry Bruckheimer disapproved of the "classic pirate sound" with flutes and woodwind passages. Even before anything was recorded, Bruckheimer fell back to his go-to composer, Hans Zimmer. Having just six weeks, and a contract not letting him take on the full score, Zimmer composed the main themes. The main credit went to Klaus Badelt, with no less than eight other Media Ventures composers adding to the mix. Another temp track story. After editing, director Stanley Kubrick sat with North and listened to the temp music picked by Kubrick for the film, leaving North to use them as guidelines. After recording the first half the film, North was told not to continue, since not much more music was going to be used. Instead, Kubrick used the now-famous classical temp music: Blue Danube Waltz, Also Sprach Zarathustra, and Ligeti pieces. It was at the premiere that North apparently found out all his music was rejected. Yared was hired by director Wolfgang Petersen a year before the film's release (an unheard of long length of time for a film score). Jumping into researching authentic styles of music, Yared began working on the source music needed for filming the epic. He also amassed an extremely large orchestra, chorus from Bulgaria and female vocalist Tanja Tzarovska to record the score. Shown with unfinished mixes of the score, the focus groups reactions were to remove the "old-fashioned" over the top score. Petersen begged James Horner to compose the new score in an incredibly short 4 weeks. Horner's score used many similar ethnic ideas as well as singer Tzarovska. One of the most successful and well known composer/director pairings, Herrmann and Hitchcock...ended with this film. As communication between the two slowly faded, Herrmann provided a score that the film needed, not what Hitchcock (and the studio) requested. Wanting a less old-fashioned score and possibly a hit theme song (as was popular at the time), Herrmann reworked several cues. 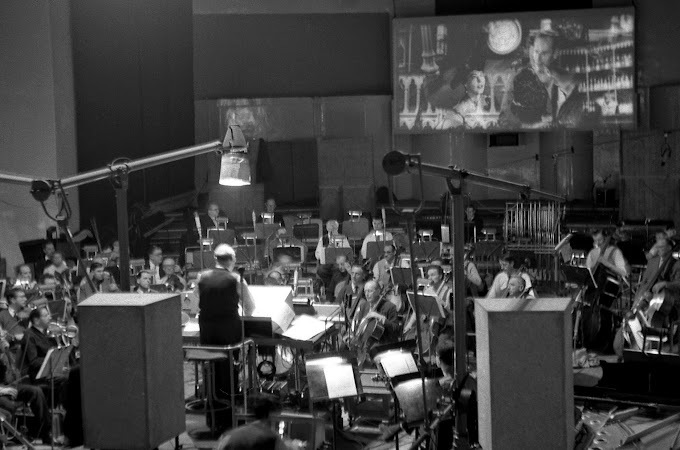 Hitchcock came to the recording session, stopped the orchestra and had them leave (even wasting money in the process). John Addison came in to re-score the film (apparently giving Hitch what he wanted). For you score detectives out there, here's the list rundown with a listing of how to hear some of these rejected scores. A 2001 anniversary edition of the soundtrack featured 3 tracks by Schifrin, including the 11 minute "Suite from the Unused Score" and "Music from the Unused Trailer"
A 1995 Prometheus Records album released the 20 minute unused score. A 2007 Intrada Records release includes the final score, Rescored Alternate Cues and demos. The 2010 Blu-ray release includes Goldsmith's "Final Theatrical" and "Composer's Original" isolated score tracks. Goldsmith's score was released on a Silva Screen CD in 1992. His European score can also be found on the Collector's Edition DVD and Blu-ray. Besides bootlegs, Newman and McNeely's efforts haven't been publicly released. This score can be found on a 2008 Varese Sarabande Club CD titled Elmer Bernstein - The Unused Scores. This score can also be found on the 2008 Varese Sarabande Club CD titled Elmer Bernstein - The Unused Scores. Both full scores by both Poledouris, Zimmer and the additional Trench/Walker cues were included in a 2012 Intrada Records release. A re-recording of Herrmann's score has been released twice - once as an LP in 1977 (conducted by Elmer Bernstein), and one CD with more score released by Varese Sarabande in 1998 (conducted by Joel McNeely). While parts were recorded, none of Shore's score has been released. There were snippets heard in the scoring production videos made. Shore's cameo at Kong's NYC debut is still in the film. North's score was first released by Varese Sarabande on CD in 1993 (conducted by Jerry Goldsmith). The complete score (original tapes) were released by Intrada Records in 2007. Yared's rejected score was industry-released as an agency promo in 2004. The score was also available on Yared's website with a lengthy story of his rejection. He was later asked to remove the audio. None of Silvestri's original demos have ever been released. This musical "what if..." will remain a mystery. The Haslinger score has never been released, while a bootleg of Conrad Pope's additional music has been seen. Elfman's reinstated score was released on CD in 2010. Yared's Troy is a masterpiece. What an absolute waste that it wasn't used and may never be officially released. Of the unheard stuff, King Kong is the holy grail, but it would also be fascinating to hear Silvestri's demos for Pirates. If Bruckheimer rejected it, it must have been great! I never knew Alan Silvestri wrote a score to Pirates! I'd love to hear that along with his rejected score to Airforce One and Mission Impossible. As for 2001, even though pieces like the Blue Danube are famous for being in that film, I don't think they intrinsically fit. I once conducted an experiment to match the correct music to a scene in a film, and all the examples were easy, except the real test was with 2001. I showed one of the clips with some music by John Williams which actually fit the scene well, and then again with the Blue Danube. Almost no one thought the latter was the right choice, and some people even laughed when they saw it! The Alex North score isn't much better, because of course it is modeled after the temp music. Of course, I'm probably biased after being raised on space movies like Star Wars.